Mindful Clock rings at midnight. Mindful Clock is ringing at midnight, even when the computer has been closed down. How do I turn this off? You need to open the application first and then tick the Random option. After this, decrease the number of times the alarm should start using the buttons next to the Times Per Day, and that's it. Now the alarm will ring 1 time per day at the hour you set up. 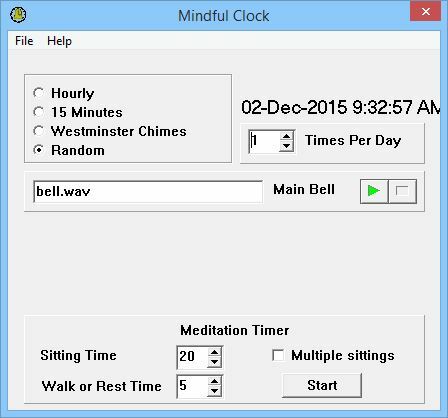 I want to uninstall Mindful Clock 2.3.1. Can you help me?